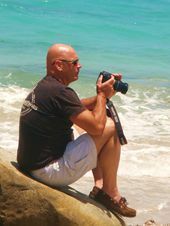 Fine Art Landscapes, seascapes, nature, and travel photography from photographer Roupen Baker. Roupen's photographs prominently feature his Cape Cod and New England home, as well as our National Parks, Seashore, Forests and Monuments. Also included are photographs of his frequent travel to the Caribbean Islands and Mexico. I like to photograph and display the beauty of nature and the natural world, as well as beautiful and scenic locations, and interesting people that I encounter when travelling. I look for the light, colors, contrasts or details of the picture to tell the story, or covey a message or emotions of the scene.